I was browsing the Sephora website and this little palette caught my eyes! 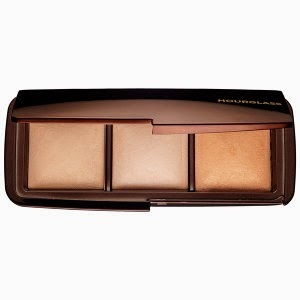 I have been lusting after the Hourglass Dim Light powder for a long time but the price tag of $52 for one powder that I wasn't too sure about was too much for me! With this palette you get to try three different powders for only $67 which is definitely worth it for me! 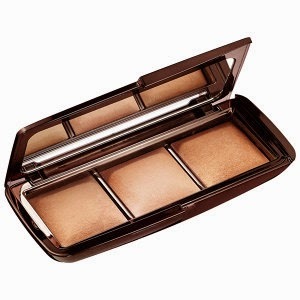 You get three shades, Dim Light which is neutral peach beige, Radiant Light which is a golden beige and an exclusive shade to this palette Incandescent Light! Personally I think all shades would compliment anyone's skin tones depending on what look you were going with! I am pretty pale so any of these would give me a nice glow and in the summer when I'm tanner or if I fake tan the more bronzy one would look beautiful! If you have darker skin any of them would give you a beautiful glow and if any are too light you could use it as a highlighter! Overall, for $67 that's $22 for each shade not to mention one you can't get singly so right there it's pretty worth it to me! I think this may be one thing I just gotta save up for a bite the bullet and buy it!